Oman Air has selected OpenAirlines- Skybreathe® to provide its cloud-based fuel efficiency software solution. The solution will provide both predictive and post-flight analysis by fusing a combination of multiple data sources to identify and realize opportunities for fuel savings and track implementation success.The software will also cover the airline’s requirements for compliance with the European Union Emissions Trading Scheme. Deployment of the software has already commenced and is expected to be fully operational by end-September 2016. 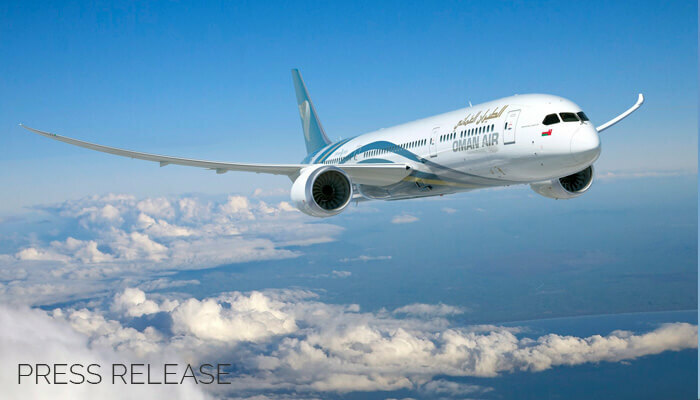 Besides over 100 Key Performance Indicators (KPI) that are currently configured in the software, Oman Air’s fuel management team has identified several of its own fuel efficiency measures, which will be included in the deployment of the software. The OpenAirlines software will support the airline in monitoring and reporting fuel efficiencies as well as significantly boost compliance to maximize the benefits to the airline. “A unique feature is an Electronic Flight Bag (EFB) integration to the Pilot Module MyFuelCoachTM. Managing and optimizing fuel costs which remain well over 20% of the airline’s operating expenses is a critical business strategy and we are excited to collaborate closely with OpenAirlines in order to realize these fuel savings as well as coping the terabytes of data that we are now seeing streaming down from our airplanes”. The fuel efficiency software from OpenAirlines is cloud-based and includes multiple user dashboards and BI tools. Proprietary algorithms that generate opportunity analysis allows the airline to identify the savings potential and business intelligence dashboards & reports that allow procedure (standard operating practices) compliance. The software also offers a variety of dashboards and reports to a diverse group of users, right from identifying, tracking and reporting on all areas of fuel savings as also ensuring full compliance with the EU Emissions trading legislation.